Minor bug fixes for improved functionality. 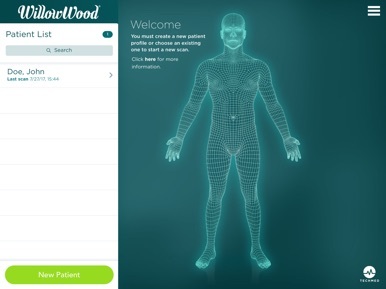 With the Alpha DESIGN app, clinicians may shape capture, add design notations, and order transfemoral and transtibial custom Alpha DESIGN Liners from WillowWood. Using an OMEGA® Structure Sensor™ with this app, clinicians have a convenient solution for portable 3D-scanning of patients. Once a patient's residual limb is scanned, clinicians may then add clinical notes to shape files and photos then prepare and submit files for order placement.